- 7104 (1/2" Deadlocking Latch, flat front face plate, Adjustable Backset). - Delivery: The Simplex 7104-05-41 Series Pushbutton Lock is factory-ordered, please allow 2-3 working days' lead time. Strike: Curved lip strike plate. Backset: 2-3/8" or 2-3/4" backset. 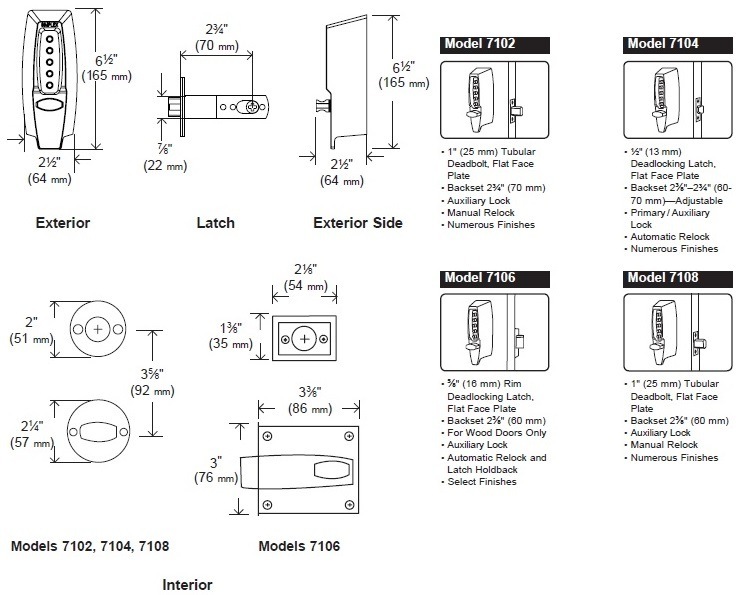 - 7104 - 1/2" Deadlocking Latch, Flat Front Face Plate, Adjustable (2-3/8" to 2-3/4") Backset.